The most complete anti-aging day cream with PSP, anti-oxidants, Hyaluronic Acid and UVA/UVB protection SPF 30+ to rejuvenate, protect and hydrate skin. Formulated with PSP, the most complete protein blend of Human Growth Factors, Cytokines and Interleukins available to rejuvenate and soothe skin. INACTIVE INGREDIENTS: Water, Caprylic/Capric Triglyceride, Hydrogenated C6-14 Olefin Polymers, Hexyldecanol, Glycerin, Glyceryl Stearate, PEG-100 Stearate, Potassium Cetyl Phosphate, Hydrogenated Palm Glycerides, Microcrystalline Cellulose, Camelia Sinensis Extract, Silica, Cutaneous Lysate, Sodium Ascorbyl Phosphate, Tocopheryl Acetate, Squalane, Hydroxyethyl Acrylate/Sodium Acryloyldimethyl Taurate Copolymer, Polyhydroxystearic Acid, Steareth-21, Melanin, Cetearyl Alcohol, Sodium Hyaluronate, Polysorbate 60, Triethoxycaprylsilane, Disodium EDTA, Xanthan Gum, Styrene/Acrylates Copolymer, Phenoxyethanol, Methylparaben, Ethylparaben, Propylparaben. The company?? ?s key trademarked ingredient, ?? ?Processed Skin Proteins,??? was developed from a 14-week-old boy. Neocutis states on their website: ?? ?A dedicated cell bank was established for developing new skin treatments using a single biopsy of fetal skin.??? Since they claim ?? ?no additional fetal biopsies will ever be required,??? Neocutis President Mark J. Lemko told Vinnedge in an email, ?? ?We feel we are in complete compliance with the laws of God and the laws of man.??? The cream initially developed to treat dermatology problems but led to a cosmetic line. Vinnedge said it?? ?s pricey because it?? ?s expensive to keep cell lines refrigerated and in working order. 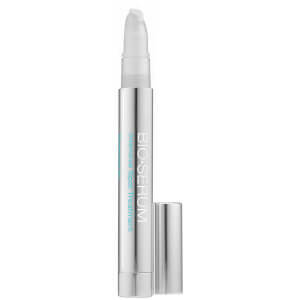 A 1-ounce bottle of Journee Bio-Restorative Day Cream goes for $120 an ounce. This was recommended by my dermatologist. I already use their eye cream which is a very good eye cream. This daydream seems to be a very good product.It goes on smooth and has a slight amount of coverage that I like for casual days when I do not need foundation. I only gave 4 stars because of the smell, sometimes I can smell it hours after I apply,maybe the sunscreen in it? Also makes me a little oily on forehead. Overall a great daydream..if I can get over the smell! I was familiar with the Neocutis line, as I use the Lumiere eye cream. When I saw the Journee day cream, I did not hesitate to order it.I love the look and feel of this cream on my face. The slight tint gives my skin an irridescent glow. There is no fragrance, which is a huge plus for my sensitive skin. SPF is a must in Arizona.I know I'm using the right product when I start getting compliments on my skin, and friends asking what I'm using. I'm pushing 60, so that is huge. Love this cream! I like this product and I know professional skin care people who love it. It goes on really well. Not so sure about the whole PSP thing, but it's a nice moisturizer. They recently changed the packaging which causes some of the product to get stuck in the spout. When it comes out, some of it is dried up and has to be thrown out. I've seen other reviews about this same issue. I wish they would fix it. Tried this product because it was recommended in InStyle magazine for women over 40 with sensitive skin issues. What a find! I have sensitive skin both to products and the sun. 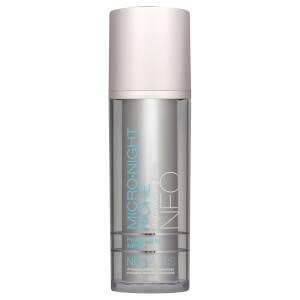 This product has transformed my skin with no irritation and protection from the elements. I am forever a devoted user of this lotion. There are too many wonderful things to say about this product. My skin has never been so hydrated, plump, or blemish free. I will always use this product. I love this moisturizer for daytime use! 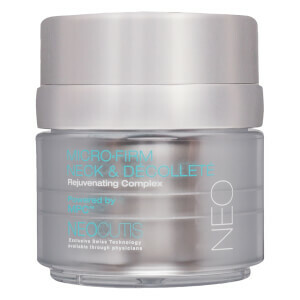 This is one of a number of excellent products by Neocutis. Initially recommended by a skin center a dermatologist sent me to. The only one I found that I can wear comfortably during the day due to hot flashes. I have tried a number of other products over the years and threw them all away after I washed them off! I have been using this for about 3 years. Recently turned 60 and have been told that I don't look a day older that 50 and my skin looks even younger! Wish it were less $ but it last a long time! I am 60 and everyone thinks i am not a day over 45.i use Journee everyday and you WILL see the same difference i saw if you are diligent with the product use. One of the best moisturizers out there that has antioxidants and spf 30 combined and it's not even greasy at all. A little goes a long way.However, I do need a little extra during winter time as my skin dries up a little more than usual. This is a great product. I like a "no makeup" look. A little dab covers, evens out my skin, hides pores, ... all the things you want a make up to do without feeling like I am wearing makeup. I have combination skin that tends to shine so, I do pair this product with Bare Minerals Mineral Veil to control shine without giving up the "no make up" look.This product is gentle and fragrance free (at least to my nose). I have Rosecea and this product does not irritate or trigger a flair-up ... just the opposite.